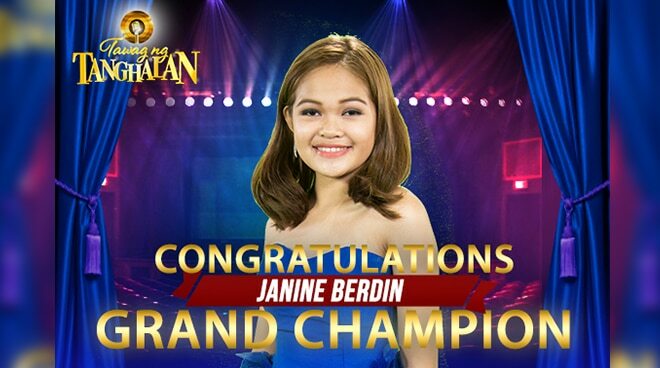 Cebu singer Janine Berdin was hailed as the grand champion of the 2nd season of It's Showtime's "Tawag Ng Tanghalan," besting other grand finalists Ato Arman (2nd placer) and Steven Paysu (3rd placer). Janine performed the songs of Bamboo during the final round, which earned the applause and the standing ovation of the judges and the "madlang people." Janine took home 2 million pesos and other stellar prizes after bagging the grand champion title.